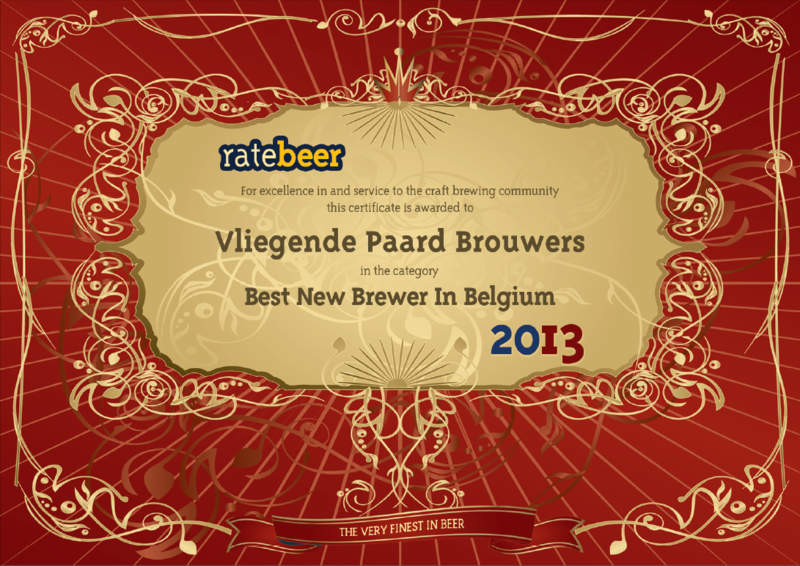 For years we brewed beers in our basement when we read an article in October 2010 about the Brouwland beer competition.We decided to risk our chances and sent our version of a Trappist beer, a dark beer volmoutig of 10%.In March 2011 we were informed that we were selected for the final. 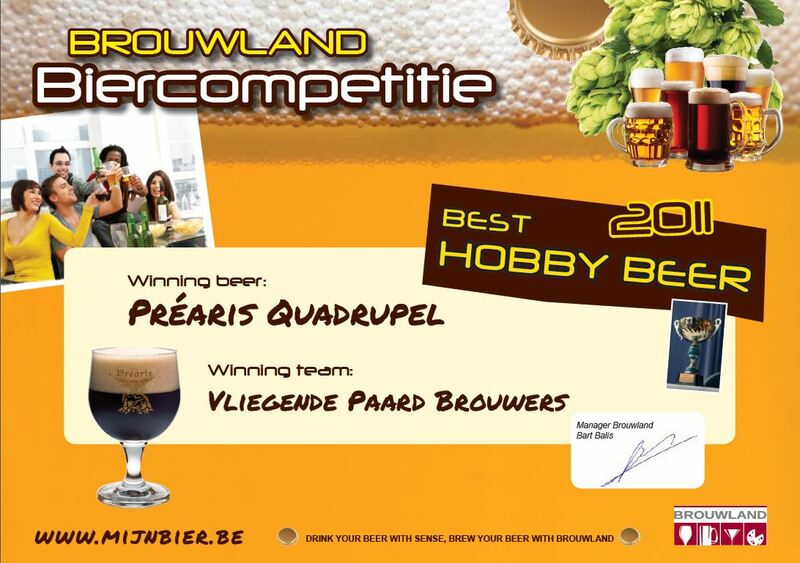 Beginning in April 2011 than was ultimately the final.The seven finalists were tasted by beer connoisseurs, Zythologists Rijckers Anne and Yannick De Cocteau and some Belgischse brew masters like Paul Arnott (Dubuisson), and Jean-Marie De Rock (Orval). The first beers were tasted and judged for one, much was noted. Mutually there was not much talk together until they started our beer (the final seven beers were tasted in order of alcohol). All jurors began to talk to each other and two of them even gave us a thumbs up. When we knew it was good. After fifteen minutes of deliberations was announced the winner … Flying Horse Brewers from Oedelem their Préaris Quadrupel.